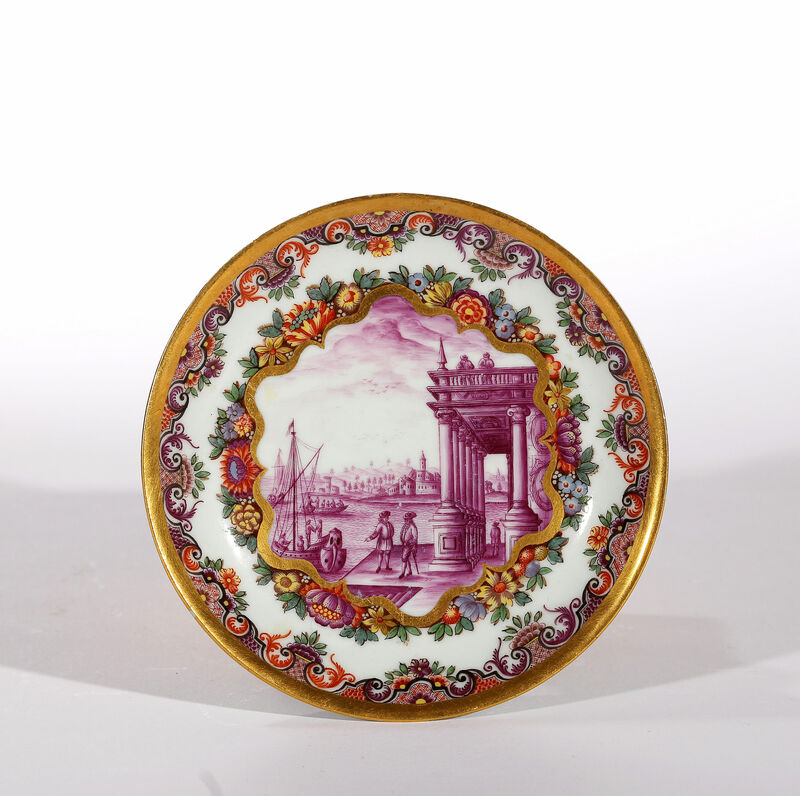 Decorated with a puce harbour scene to the centre, in a cartouche of gold and polychrome flower heads, the edge of the saucer is gilded along with a richly coloured baroque strapwork facing the centre. Various hands are associated with the hausmaler workshop of J.F. in Bayreuth, and this rare one is notable for its extremely fine quality. An example by the same hand on Meissen porcelain is in the Arnhold Collection. 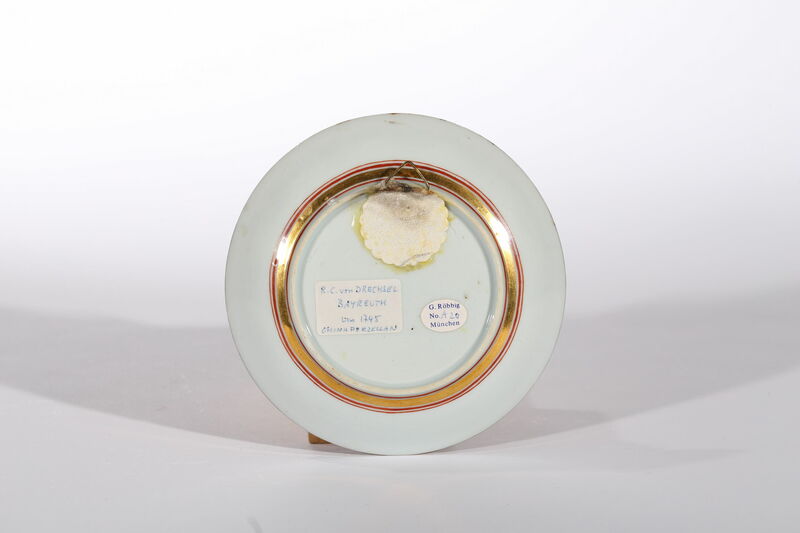 A service, rather different but probably from the same workshop, in the Darmstaedter Collection included pieces bearing the inscription ‘de Dreschel/ 1744’, nothing is known of Dreschel. He may have been the recipient of the service, or an artist in the Metzsch Workshop, on the basis of this signature some Metzsch-type pieces are traditionally attributed to his hand. This type of decoration can be found on both Chinese and Meissen porcelain. Literature – Arnhold Collection of Meissen Porcelain 1710-1750, Maureen Cassidy-Geiger, 2008, p.646, no. 327.